The news follows an announcement earlier this year that USPS will begin increasing costs for shipping services, which are priced separately from flat and letter mail, by an average of 9.5 percent in January, according to Stephen M. Kearney, executive director of the Alliance of Nonprofit Mailers (ANM) in Washington, D.C. 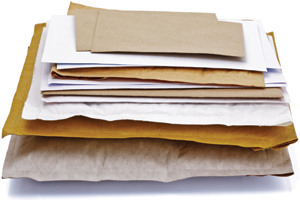 Potential savings might come down the pike in the form of a rolled back 4.3 percent exigent surcharge that all mailers have been paying for the past year and a half, Kearney said. The surcharge was developed as a means to make up for volume USPS lost during the recession and to online services such as email, Kearney said, and is expected to meet its target of $4.9 billion in April. Further pricing changes could be coming in 2017, Kearney said, as the Postal Regulatory Commission is scheduled to review the Consumer Price Index cap on mailing services and other aspects of pricing regulation in December 2016. While USPS and other entities are likely to support changes in regulations that will allow for price increases, ANM will attempt to keep costs as they are, according to Kearney. “2017 is going to be a very important year for nonprofit mailers because we’ll have a regulatory review and possible changes to postal regulations,” Kearney said.